Bring the Electra Experience to your next school event! Combining the hottest music, world-class light shows and high-energy talent, Electra Entertainment is ready to party with your school. 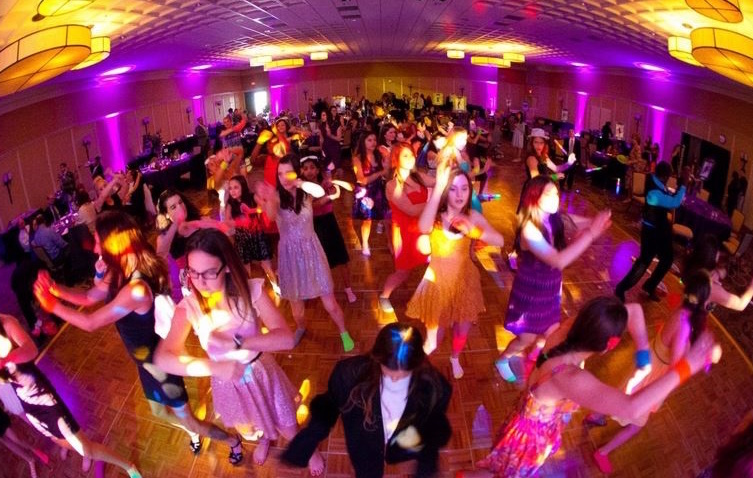 From Elementary School parties to College events, Electra does it all! From a Family Fun Night to a special class graduation party our DJ’s and MC’s will have your students partying to all their favorite hit songs and competing in some of the best games and contests around. Electra can provide optional lighting or karaoke for events as well. A one person DJ performance will send your students home smiling with great music playing through a state of the art sound system. Your DJ acts as the parties Master of Ceremonies (MC) to hype up the crowd. Optional Lighting or Party Prize Giveaway packages are also available. An interactive party experience featuring a dynamic party DJ and high energy interactive emcee. This two person entertainment team will have your guests partying constantly learning new dance moves, partaking in crazy contests and screaming with delight. A basic lighting package is included with this package. Take the Deluxe party and add two dazzling interactive party dancers and you have a four person entertainment extravaganza. Your school will be the envy of all other schools as our party staff creates the most high energy party ever brought to a school system. With our heart pumping sound systems and spectacular state-of-the-art light shows, Electra can transform any venue into the hottest nightclub scene in town! We can customize your Back to School Dance, Homecoming, Prom or next social gathering to fit your needs. Our sound systems can accommodate as few as 75 guests or as many as 5,000 guests! Up to four hours of DJ service with a two speaker sound system (Recommended for events of no more than 200 Guests) with optional basic lighting package.